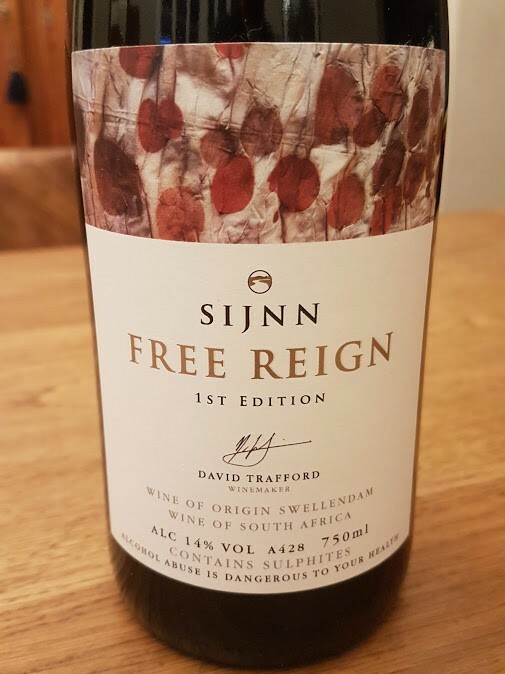 Sijnn Free Reign 1st Edition was inspired by the multi-vintage Unico Especial from iconic Spanish winery Vega Sicilia, David Trafford aiming to pick the best barrel or two from a particular vintage and then attempting to improve it from one year to the next. The 1st edition therefore comprises Touriga Nacional from 2009, Syrah and Touriga from 2010, the wine blended into a single 700-litre barrel at this stage, before Syrah 2011 was added and the wine now transferred to a 900-litre barrel which had been specifically purchased for the project. The nose is deep and alluring with notes of red and black fruit, earth, spice and some potpourri in the background. The palate combines real intricacy with smoothness – dense fruit and soft tannins, the finish long and gently savoury. An absolute pleasure to drink. Wine Cellar price: R800 a bottle. A brave project, sounds interesting.